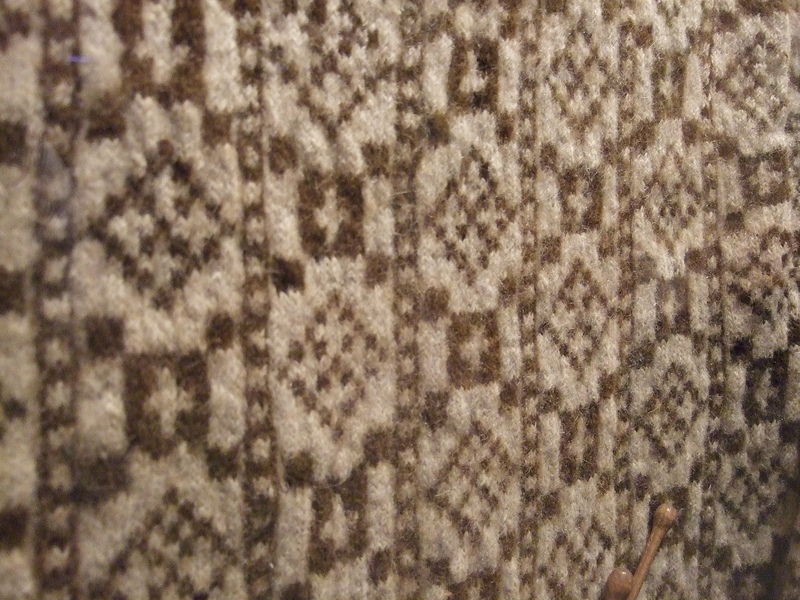 When I was developing the plot for Old World Murder, I needed a Norwegian artifact for a major plot point. I chose to feature an ale bowl. These old tankards, which are often beautifully carved and painted, have appealed to me ever since my Old World Wisconsin days. I knew the bowls were used historically to commemorate special occasions. I could easily imagine them being passed from hand to hand in some long-ago smoky Norwegian cabin. And honestly, that was about it. Carol Hasvold worked from 19th-century accounts to understand drinking customs in Norway. 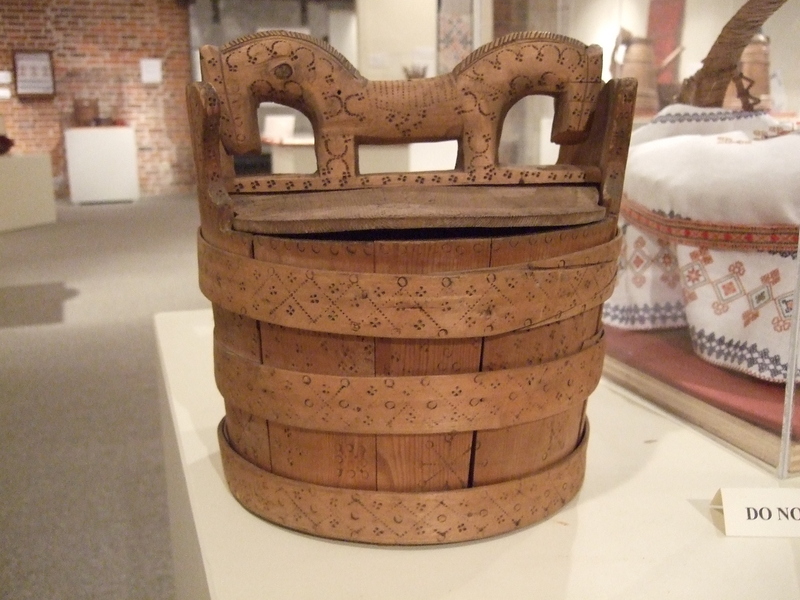 I recently went to Vesterheim Norwegian-American Museum to learn more about ale bowls. 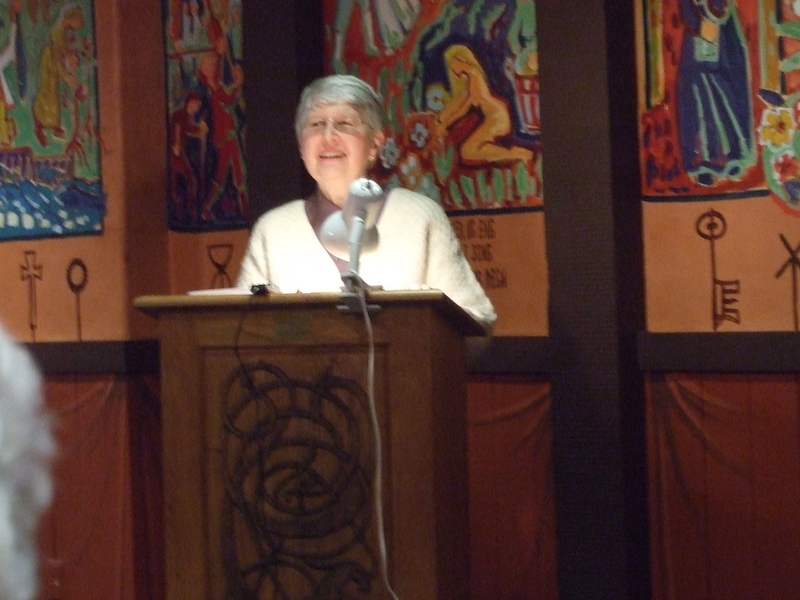 The visit began with a program given by former registrar Carol Hasvold, “Festive Events and Drinking Customs.” In rural parts of old Norway, she said, ale was brewed to mark two kinds of events: those tied to the annual cycle, such as harvest-time and Christmas, and those marking special personal events. For example, ten or twelve barrels of ale might have been brewed for a wedding. Strong ale implied that a family was prosperous, and their farm well managed. The bride price was negotiated with ale. After the ceremony itself, friends and family attended a reception at the newlyweds’ new home. The bride was expected to throw a small bowl over her house! If the bowl did not make it over the roof, she could expect bad luck. As ale bowls were drained during the reception, guests tossed coins into the bowls as thanks for the celebration. 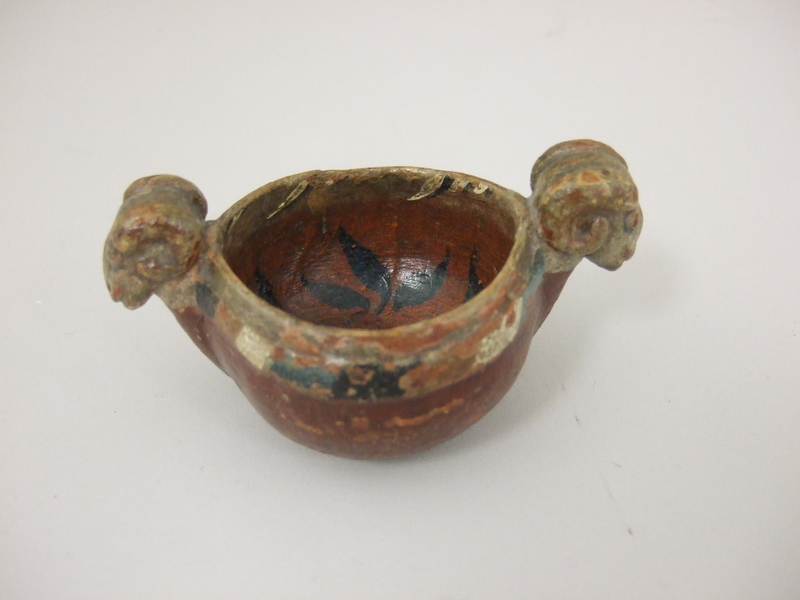 This bowl is tiny--perfect, perhaps, for tossing over a house? Ale also played a part in funeral rituals. After a death, neighbors and friends came to the home with gifts of food or ale. They stood in a ring around the casket and sang three hymns, with ale passed around between each. Then the mourners carried the casket outside, placed an ale bowl upon it, and drank a final toast to the deceased. In each event, when the ale was gone, the bowl was put away. We’re lucky that ale did not have a long shelf life in the 19th century! Sporadic use meant that many of the bowls survived for generations. When emigrants decided what to take to America, they sometimes packed ale bowls into their trunks. 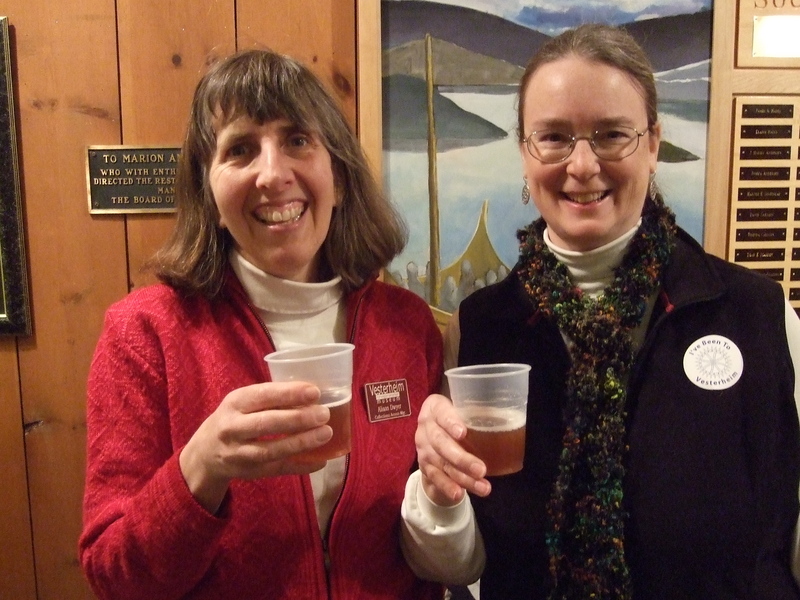 After the program, Alison Dwyer (left) and I sampled home-made ale (strictly for research purposes, of course.). 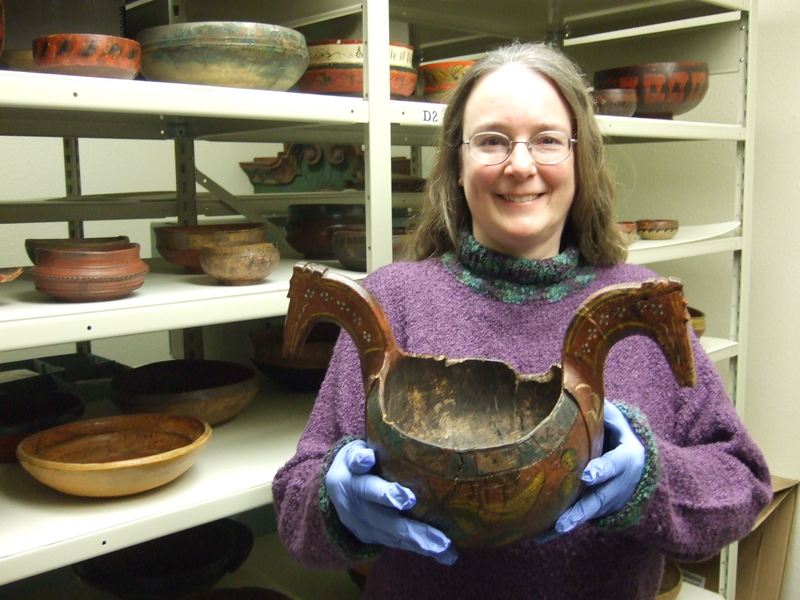 The first ale bowl I ever saw was a beautiful artifact on display in the Kvaale House, at Old World Wisconsin. 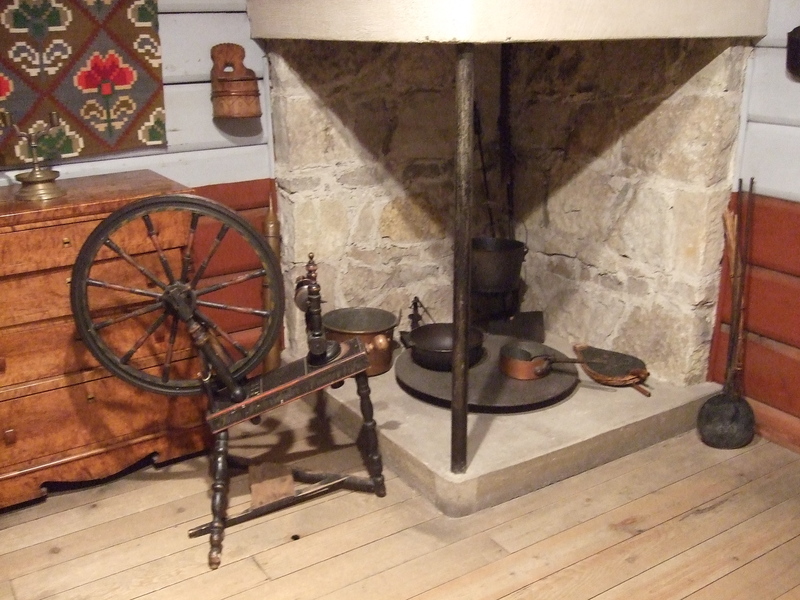 The Kvaale exhibit portrays a well-settled Norwegian-American family, and the ale bowl is one of a handful of artifacts used to suggest an assimilated family that nonetheless treasures mementos from the homeland. Now I know an ale bowl likely held specific memories, too. A man might recall when the bowl was used to toast his own marriage. A woman might remember how it sat on her mother’s coffin. We can’t ever know all the human stories represented by any particular ale bowl…but isn’t it intriguing to wonder? This is one of my favorite bowls in Vesterheim's collection.